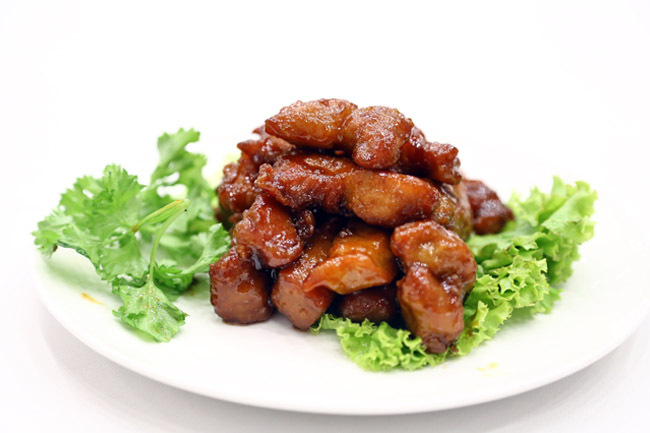 There is just something about “Zi Char” (or Tze Char 煮炒) that is very comforting, especially when the dishes come served piping hot with that strong wok-hei (wok-heat). 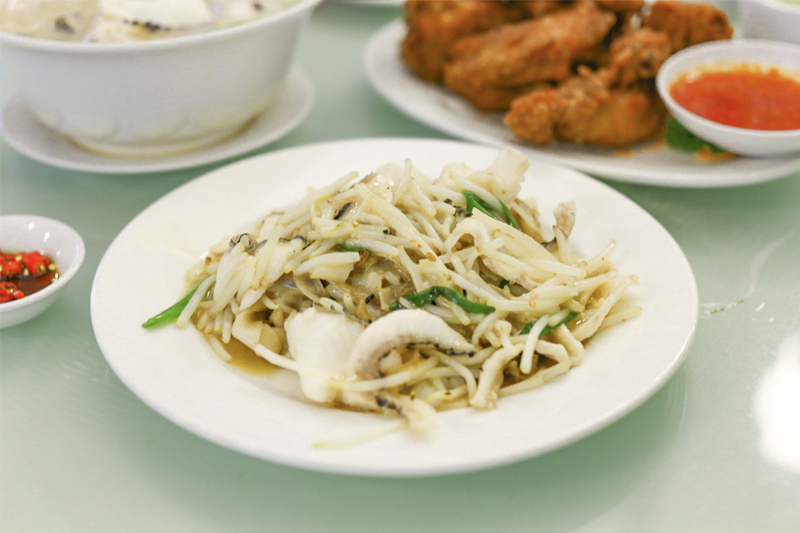 Zi Char places are great for family and friends gathering, mostly at affordable pricing (except when you order seafood and just anyhow order). 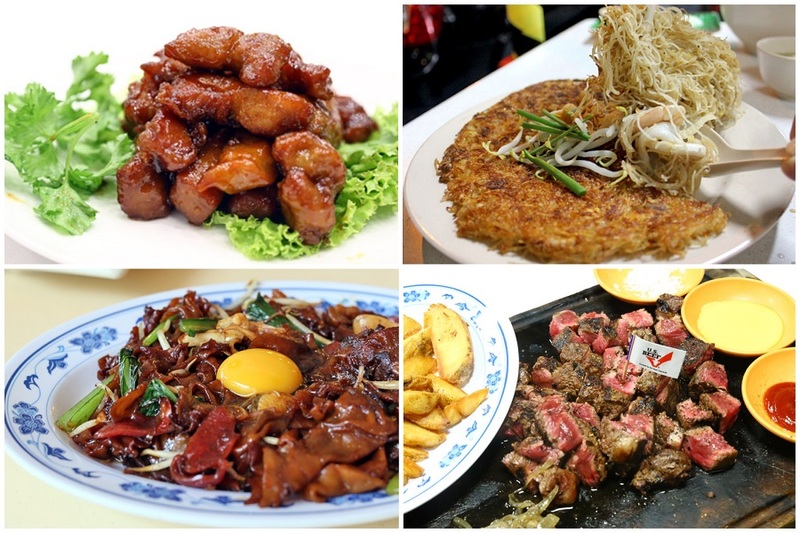 Some of my personal favourite dishes to order include Beef Horfun, Sweet & Sour Pork, Sambal Kang Kong and Har Cheong Chicken, though there are many eateries that come out with their own specialty dishes. For example, Two Chef’s Butter Pork Ribs, Kok Sen’s Big Prawn Noodles, and Keng Eng Kee Seafood’s Ming Zhu Rolls. Though there are copycat versions around, few do as well as them. 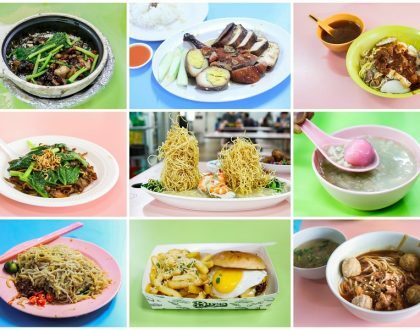 These are some of the 12 Best Zi Char Places in Singapore, which are favourite ‘zhu chao’ places along with stand-out signature dishes. 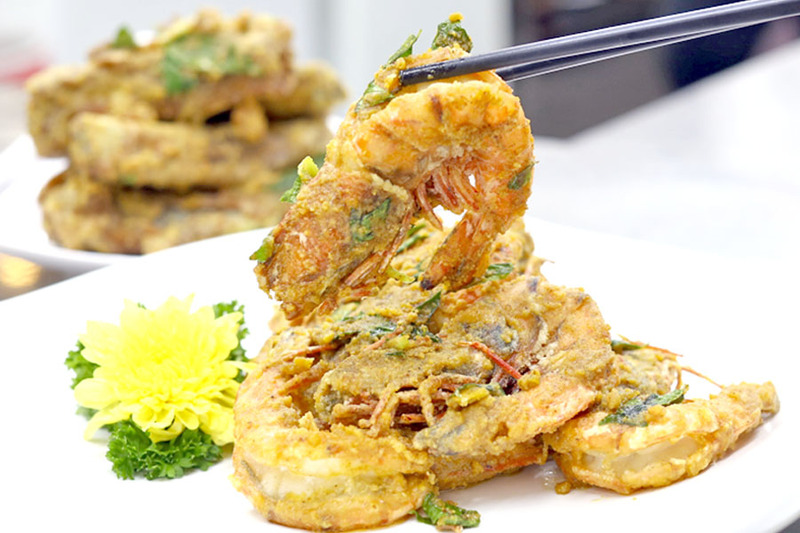 This Cantonese-style restaurant most famous dish is its Big Prawns Bee Hoon Soup, costing a pricey $16 for the smallest portion in a seemingly humble zi char place. Keng Eng Kee is one of those Zi Char places that actually have good service (no grumpy aunties) – prompt (in fact too prompt my dishes arrived in minutes) and friendly. The originality of the dishes is quite mixed. Owner Mr Liew is Malaysian who learnt his craft from his Hainanese father-in-law, and serves mainly Cantonese styled dishes. 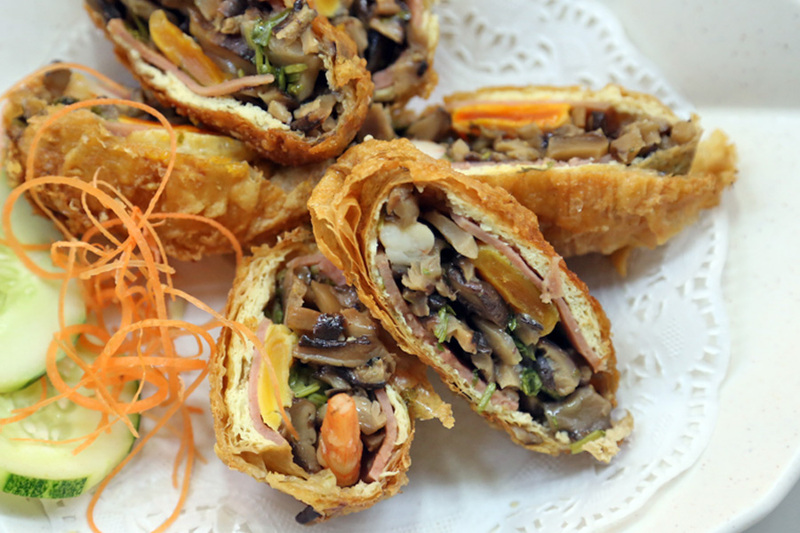 The Mingzhu Roll ($12 for 6 pieces) is a dish unique to Keng Eng Kee, that looked elaborate and creative for a zi-char dish. They closed, and they reopened. Yeah. Say hello back to Por Kee’s signature dishes like the Champagne Pork Ribs, Homemade Beancurd ($16), Cereal Prawns ($22), Crispy Butter Prawns ($22), and Yam Basket with Chicken and Shrimp ($16). 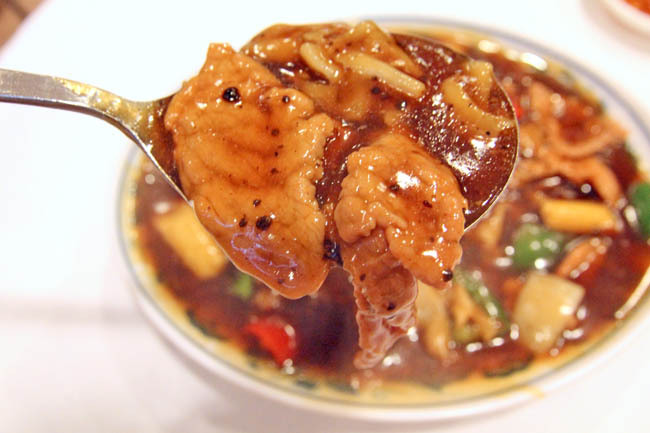 My favourite dish is easily the Homemade Beancurd with mushrooms ($16). 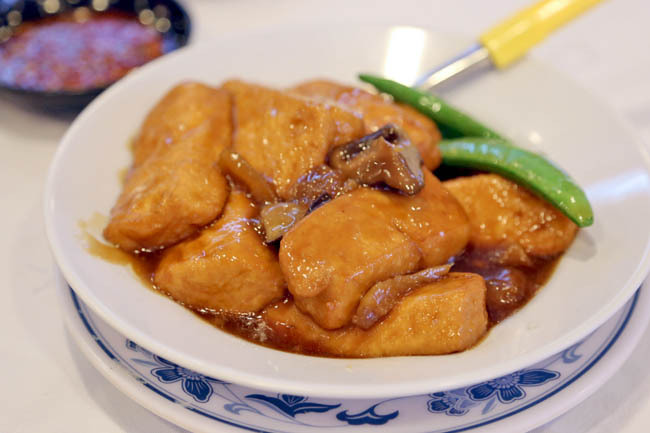 While deep fried, the inside remains very smooth and silky, poured over by a flavourful sauce with super-power wok-hei. I swear you can feel the wok-hei breathing in your body after taking a bite. 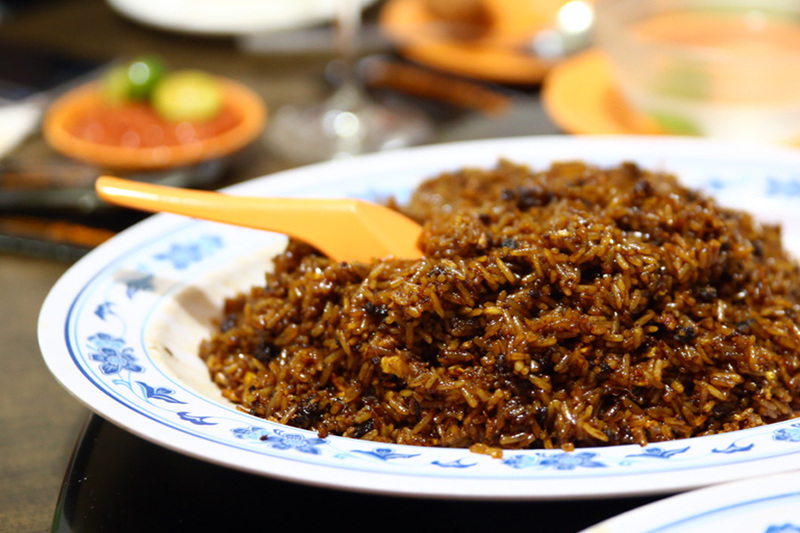 An underrated dish that I enjoyed is the Fried Beef Hor Fun with Black Bean Sauce. Ask for the chili sauce to go along – great combi. 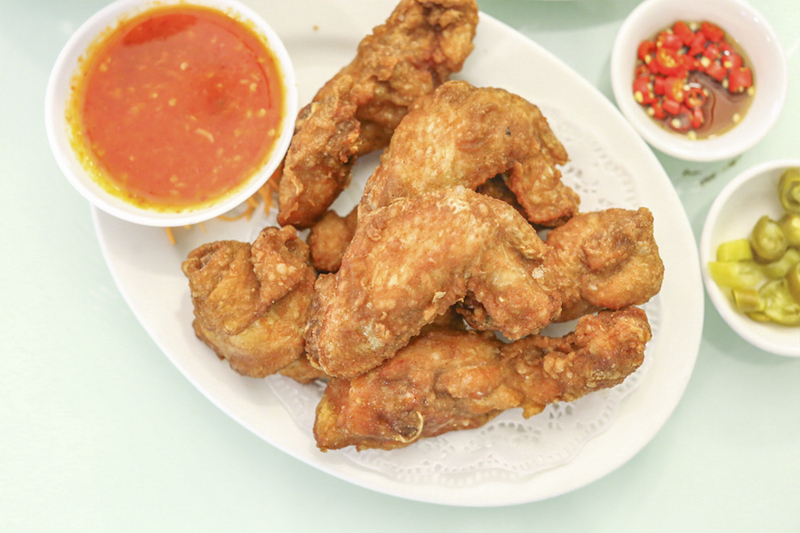 There are some reasons for its success: positive reviews from critics and bloggers, and a fairly interesting variety of Singapore meets Malaysian zhi char dishes. 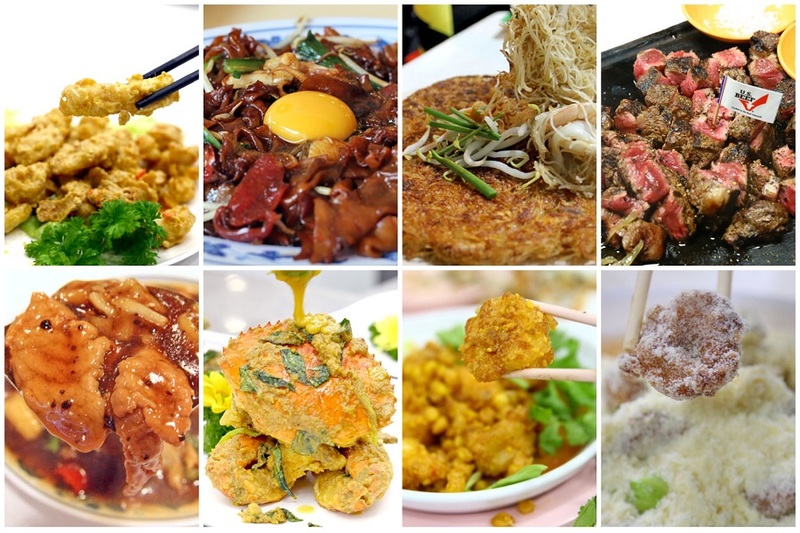 For those who have yet to try their food, their recommended dishes include Sauna Prawns, Three Eggs Chinese Spinach, Champagne Pork Ribs, Superior Chicken Soup, Gan Xiang Fried Rice, Pumpkin Beancurd, Diamond Gan Xiang Crab, Garlic Steamed Bamboo Clams, Salted Egg Sotong, and Hong Kong Steamed Fish. 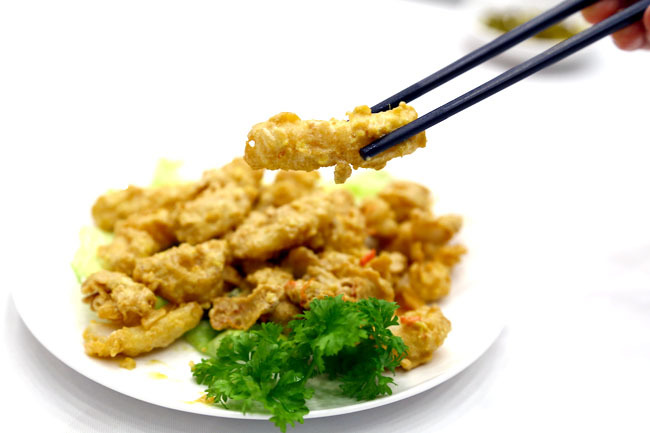 Many calamari dishes tried elsewhere failed big time, usually tasting rubbery and overpowered by salted egg yolk sauce. 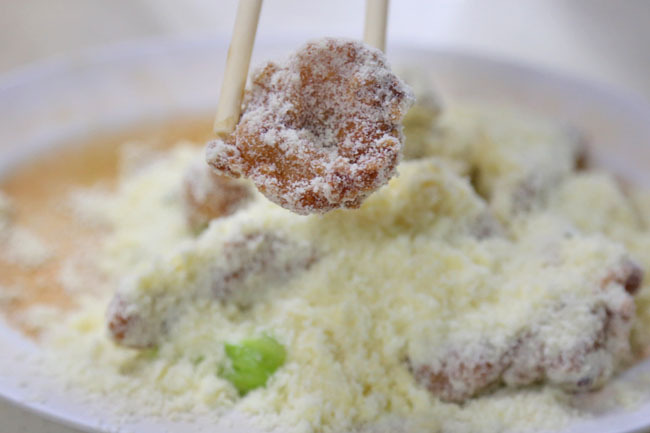 Singaporeans may love salted-egg-anything, but let us not drown our food in it. 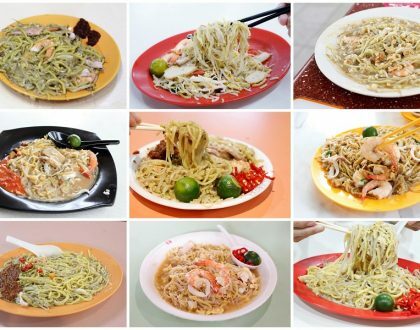 Every table orders the chao tar bee hoon (burnt vermicelli) at Yong Kee. This crispy vermicelli is a must try at Yong Kee located within a coffeeshop along Jalan Besar Road. You might have seen this dish before in Malaysia, but it is definitely uncommon here. The wait of 20 minutes was long, but it was worth every minute. 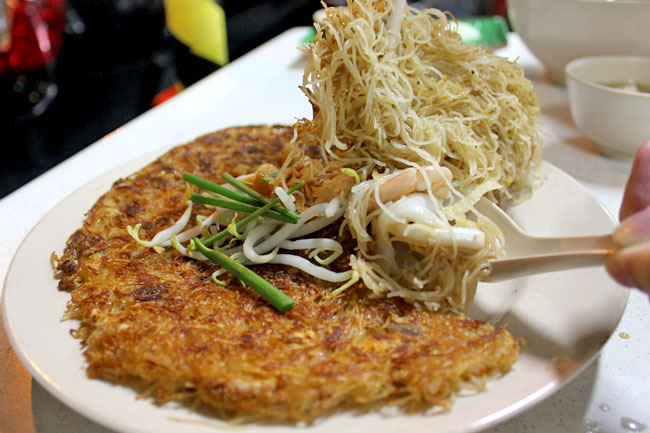 Arriving like a round pancake, the beehoon was crusty on the outside layer, yet moist and flavoursome on the inside where the bee hoon had soaked up the rich stock. 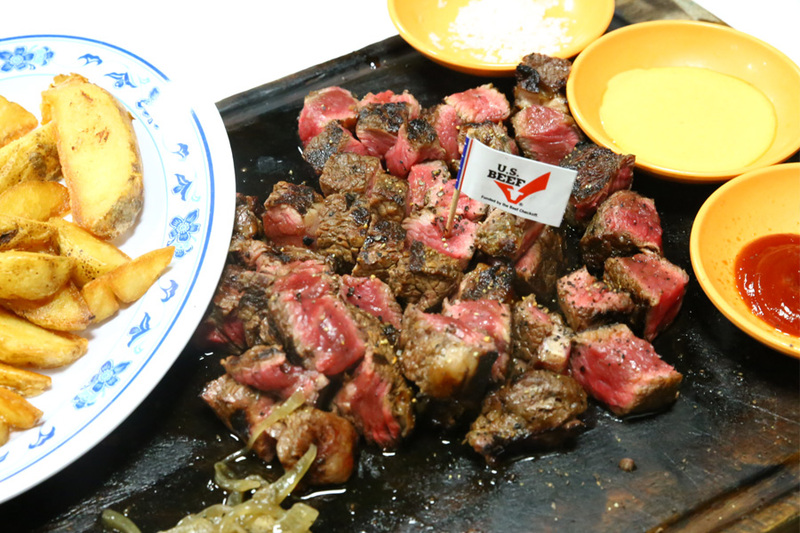 Two Chefs describes themselves as “high class dishes at zi char prices”. Hmmm. The dish that everyone talks about is the Butter Pork Ribs ($8/$12/$16) which is pork chop (no ribs) covered with a specially made powdery butter. The pork cubes are indeed quite tender (can’t complain because I always get tough pork in Singapore), covered in this snowy white textured, sweet tasting butter power which takes four hours to prepare. It tastes like dried up condensed milk, while the traces of curry leave add a hint of fragrance. The dish used to be much better though, recently the power got clumpy. Mellben has always been attracting crowds for their crabs, but this is the first time I had their Salted Egg Yolk Crabs (seasonal pricing). I was expecting a wetter sauce, but the mighty crustacean came in a drier form such that the fleshly crabs had already absorbed some of the flavours. The outer coating was grainy with a moderate touch of sweetness, added with fragrance from the curry leaves and butter. You will find yourself licking your fingers pretty soon. Tip: You can request for extra sauce at $4 to go with the crispy mantou. 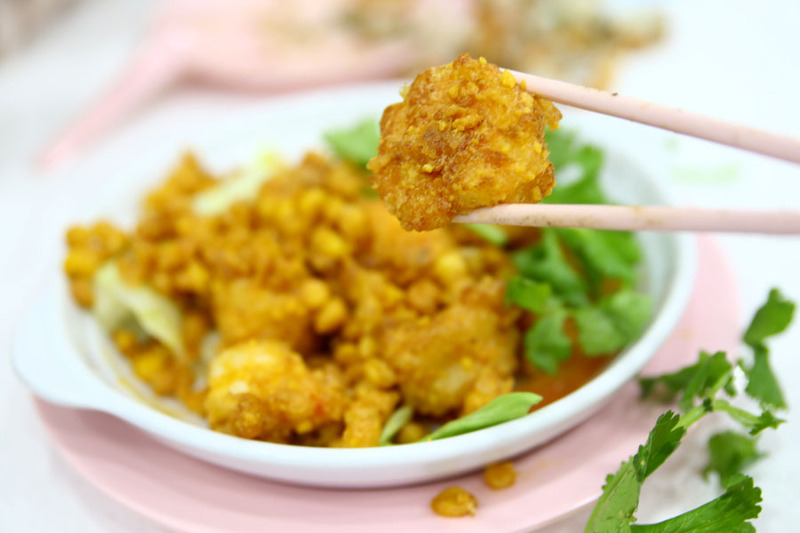 You can also consider the Salted Egg Prawns. Somehow the drier sauce worked well with the fresh sea prawns, good enough that you can actually have them with the shells on. 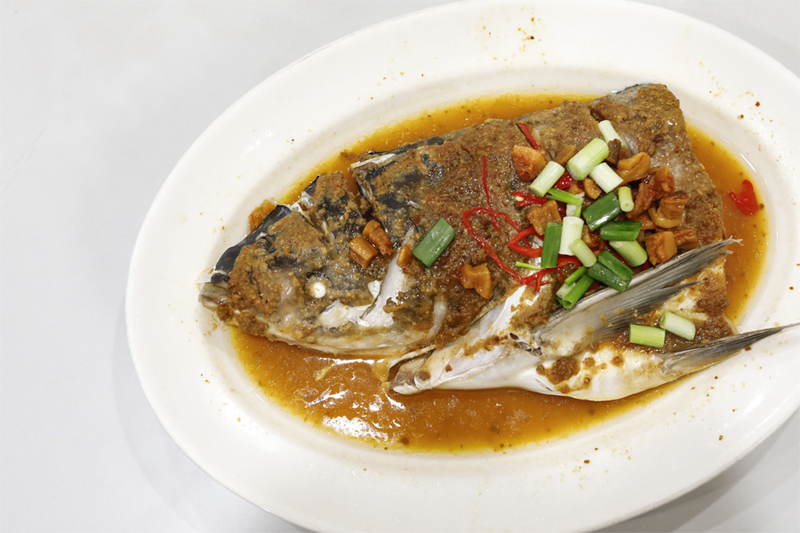 JB Ah Meng has a number of ‘star’ signature dishes – JB San Lou Meehoon, White Pepper Crab, Salted Egg Prawn Roll, Fried Fish Head, and 3 Delicacy Beancurd. If you are a first timer here, you should order at least one of the above. Is that even true? But after chomping down those sweet fleshy chunks on meat tossed in piquant kick of white pepper, I think there is some truth in that statement. 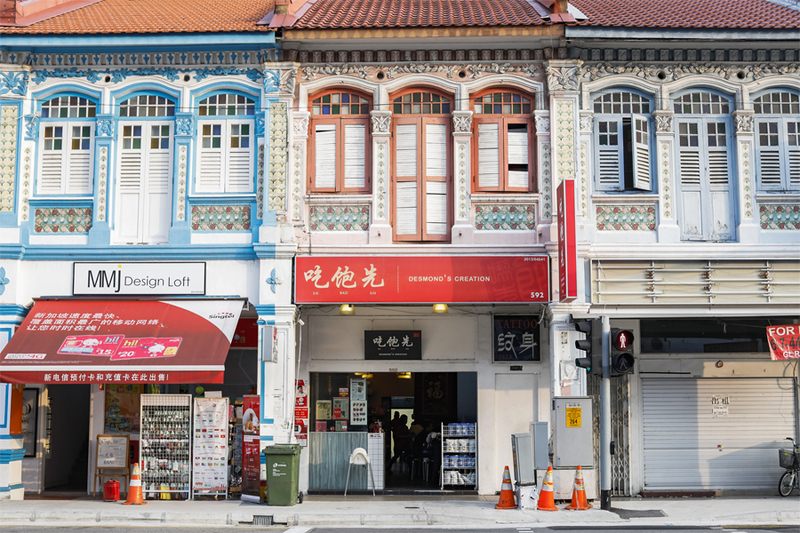 If you find yourself at Ka-Soh Restaurant, also known as Swee Kee Fish Head Noodle House at College Road, you may find yourself walking back in time. Some of the signatures include the Sliced Fish Noodle Soup ($7.50++ for a single serving, $24++ for 3-4 persons, $38++ for 5-6 persons), Prawn Paste Chicken ($15.50++), Spare Pork Ribs (18.5++), Deep Fried Frog with Ginger (22++), Sambal Cuttlefish (18++), Beef and Fresh Crab Meat Hor Fun with Black Bean Sauce and Egg (18++), Fried Yam (8++). 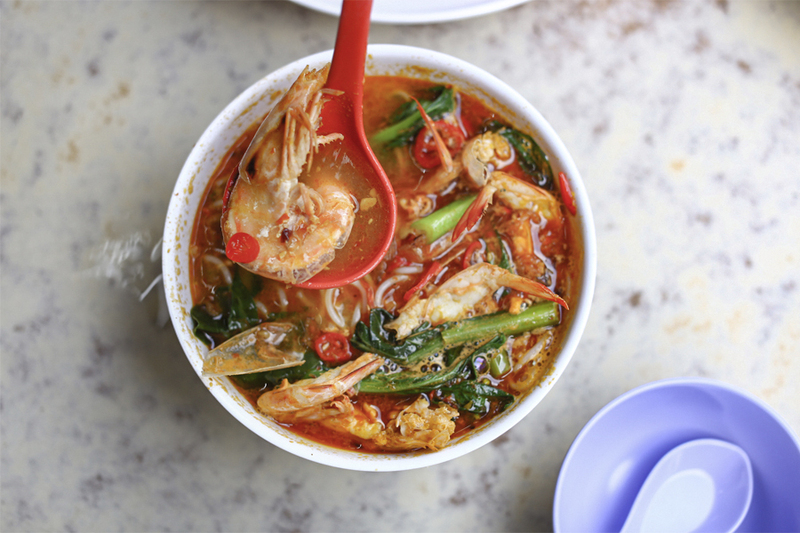 The restaurant still cooks its signature Fish Noodle Soup in a traditional style. The kitchen would first deep fry the snake-head fish bones, cook the stock for hours till it forms a white, almost-milky base. 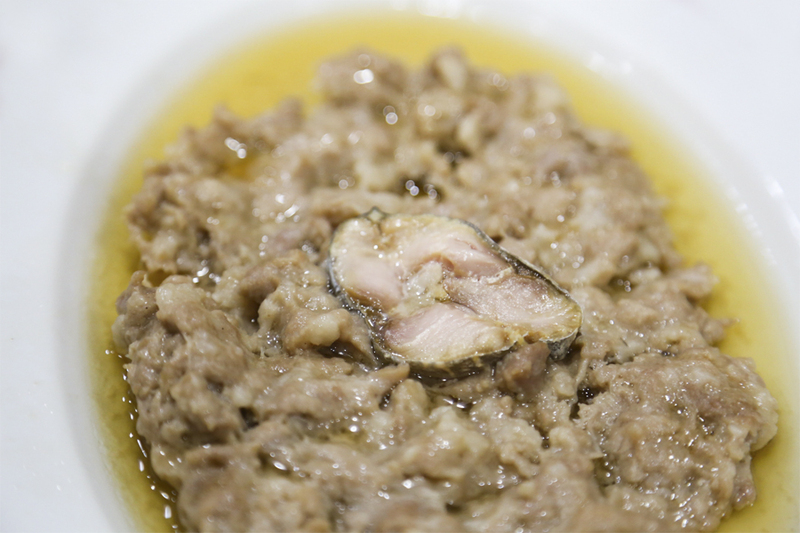 Many fish soup stalls now use the short cut by adding evaporated milk to give that creamy mouth feel, but Ka-Soh still use the labour-intensive way. The environment is like an old-school Chinese restaurant of the 80s, the type you would celebrate Ah-gong’s and Ah-ma’s birthday at. 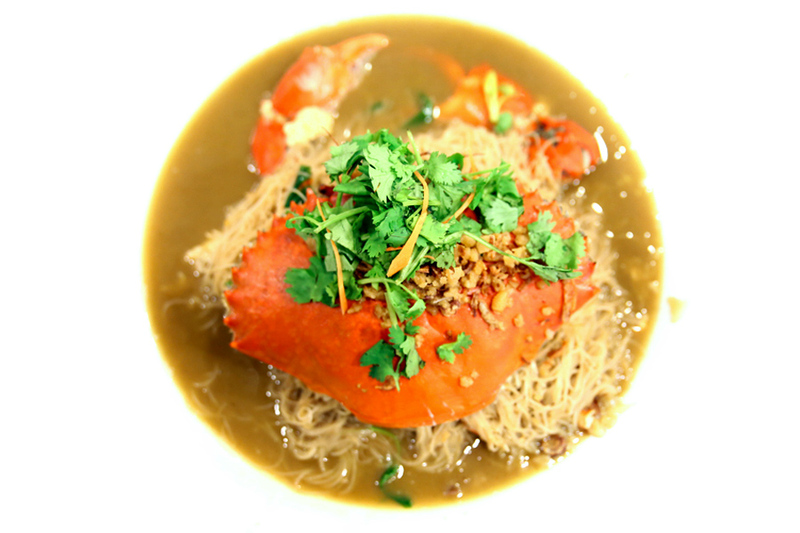 The star dish of Long Ji is unquestionably the Crab Bee Hoon (seasonal price). 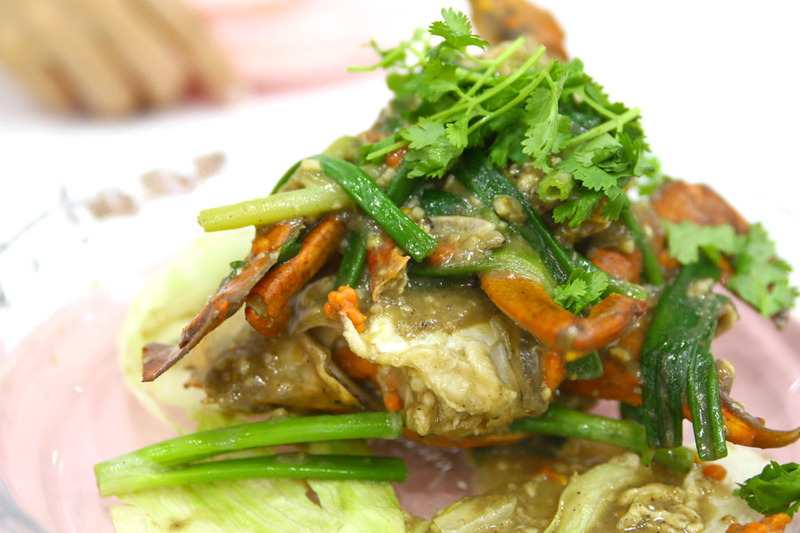 Its appeal is partly the robustly appealing gravy, cooked with crabs, cabbage and oyster sauce with a peppery aroma. Plus point, no MSG or chicken powder are used in the stock. 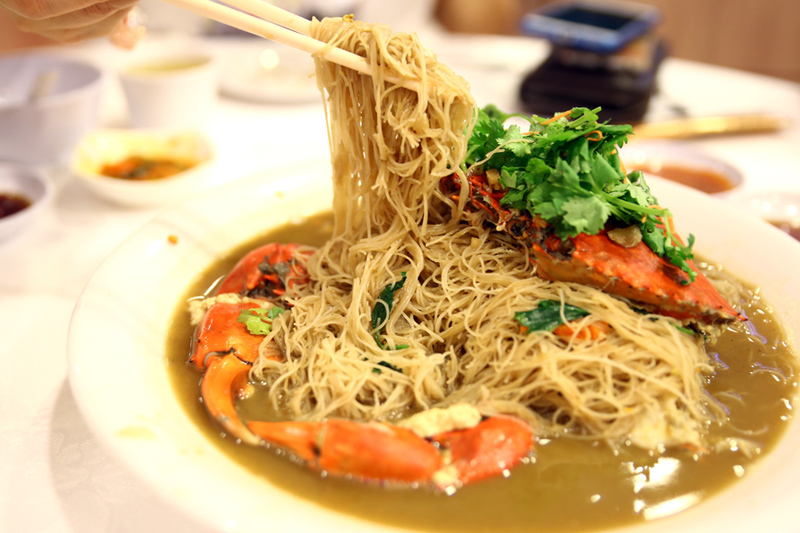 If you like your Crab Bee Hoon semi-wet (okay, more wet than dry), this is for you. 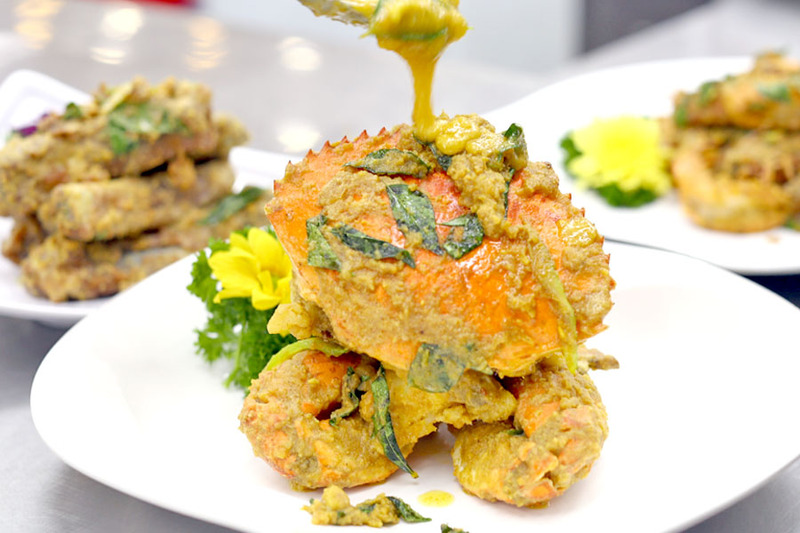 The food items here are called “Desmond’s creations”, as it is headed by Chef Desmond Chia who was formally from the famous Sik Wai Sin near Geylang Lor 15. 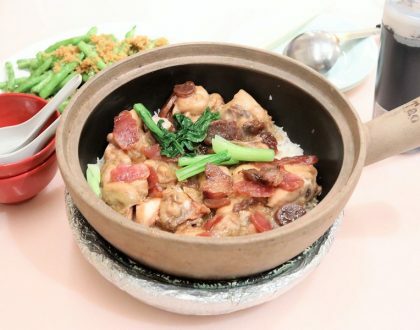 Among the 13 items, 10 are listed as all-time favourites, with 4 named as main stars: Steamed Fish Head, Tofu Prawns, Ginger Chicken, and Steamed Pork with Salted Fish. One of my personal favourites was the Steamed Pork with Salted Fish ($17), neither overpoweringly salty nor oil, and went well with steamed white rice. Thanks for all your great recommendations! 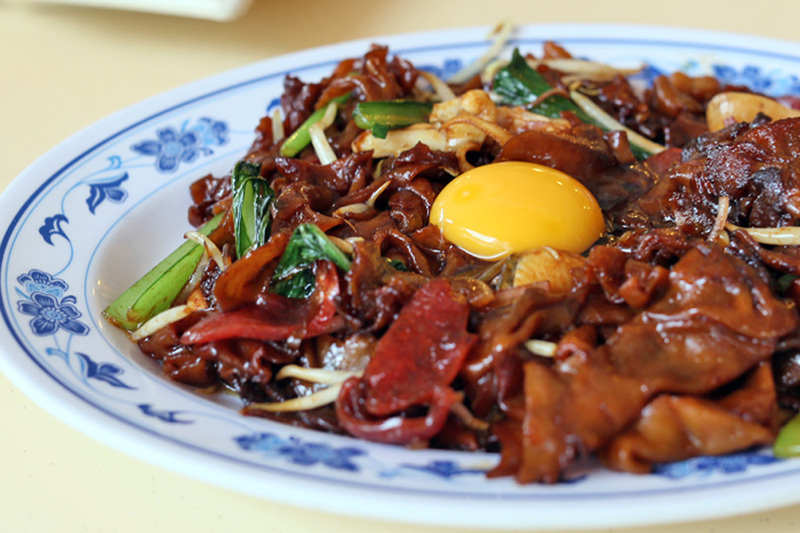 I also like the Chao Tar Bee Hoon at Hao Kee Seafood Deluxe at Toa Payoh North, Blk 203. It’s crispy on the outside, and QQ on the inside. 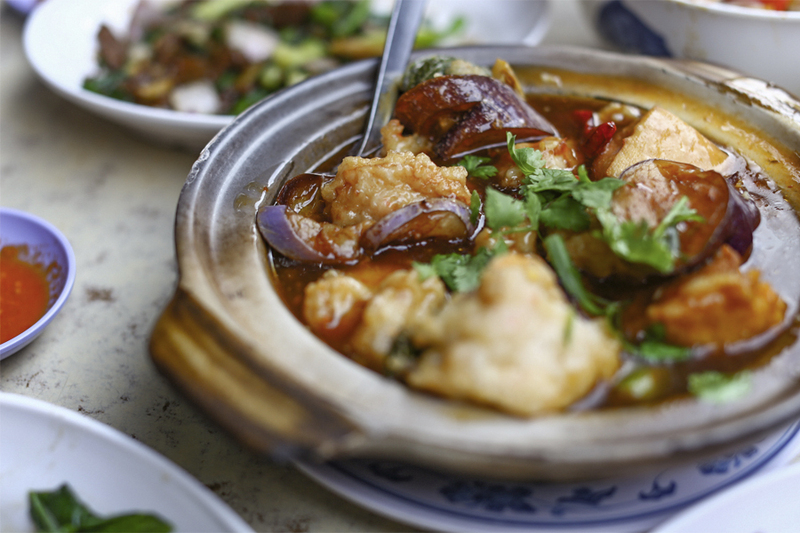 Their Chye Por Hor Fun is also delicious, with irresistible wok hei.